These are great for any meal and on the BBQ. 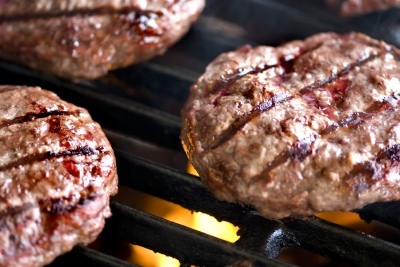 Delicious, soft and tasty burgers, just grill and serve. Available in packs of 6, 8, 12, 18, 24 or 30 as a quarter pound burger (4oz/113g). This product is dispatched frozen at -18C. Beef 97%, WHEAT Flour, (WHEAT GLUTEN, Calcium Carbonate, Iron, Niacin, Thiamin), Salt, Raising Agent (E503), Water, SOYA, Dextrose, Flavour Enhancer (E621), Hydrolysed Vegetable Protein, Preservative (E223) (SODIUM METABISUPLHITE), Antioxidant (E301). Allergens : See ingredients in BOLD. Contains Gluten from Wheat, contains soya, contains sulphites.